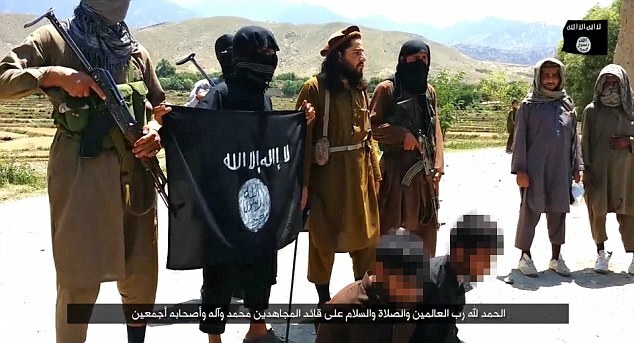 Vilayat Khorasan: Islamic State taking over Afghanistan 5 out of 5 based on 2 ratings. 2 user reviews. Concerning the “ISIS takes over Afghanistan” headline, first the news, then the commentary. 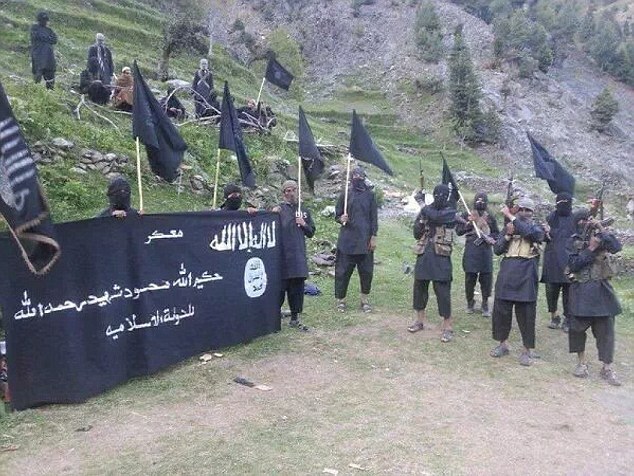 About 1600 sworn Daesh (ISIS) militants took over a sizable portion of four Afghan provinces south of Jalalabad. The Times notes that in Afghanistan Daesh operates like it does in Iraq and Syria: first stealthy militant penetration, then capture of territory. There are reports that the terrorists are acting with particular cruelty, using tortures and executions, compelling thousands of local inhabitants to leave their homes. Afghan army’s efforts to contain the militants are hampered by significant personnel losses, up to 500 troops a month. 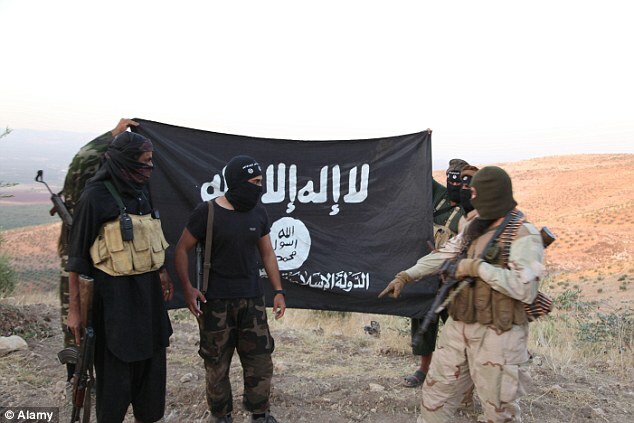 ISIS advances are facilitated by schisms within Taliban following the withdrawal of Western troops from Afghanistan. It can’t be ruled out that the former Taliban members who joined ISIS are responsible for the death of Taliban leader Mullah Mansour. 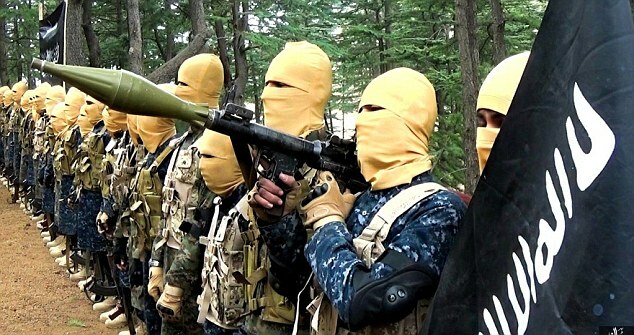 Joining ISIS is attractive for discontented Taliban members, as well as the majority of Chechen and Uzbek militants. Right now they are not an international threat like in the Middle East, but could become one in three to five years, says a high-ranking diplomat in Kabul. 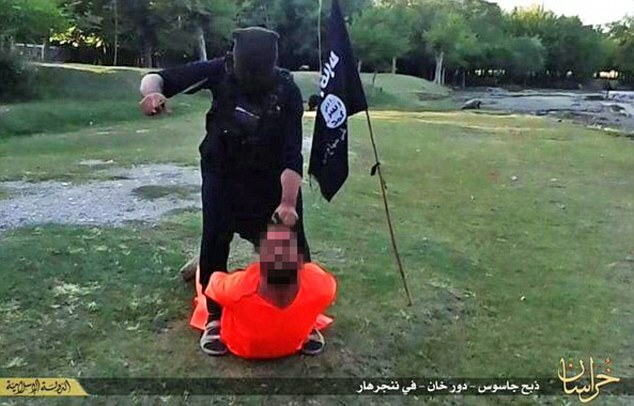 For reasons we don’t fully understand, ISIS here has lots of money, far more than the Taliban. 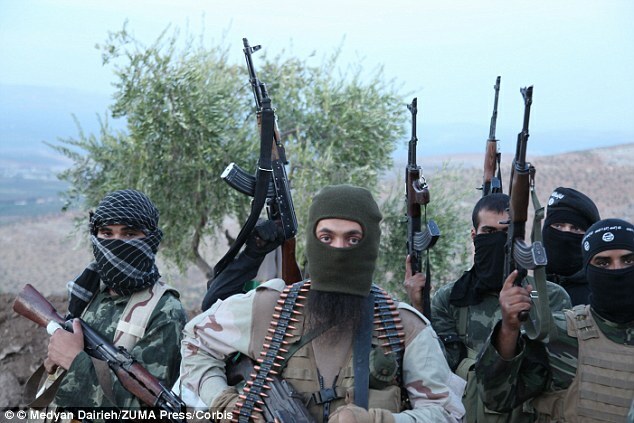 US Department of Defense source told The Times that the Pentagon is aware of ISIS-affiliated militants. “We are constantly evaluating whether their appearance will affect the nature of the threat in the region,” the Pentagon said. Khalifate activization in Afghanistan is no secret. It became active in 2015 by absorbing Taliban, al-Qaeda, and the Haqqani network cells. 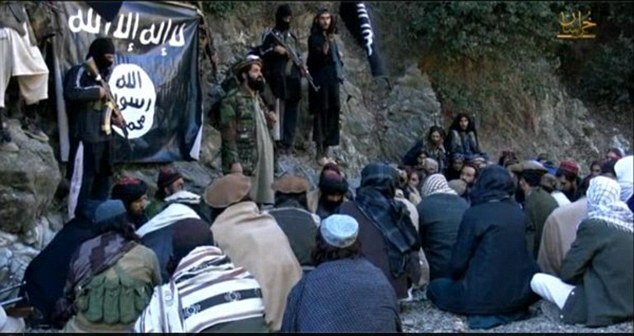 Like in the Sinai where Khalifate-loyal militants announced the creation of Vilayat Sinai, a Khalifate province, in Afghanistan they announced the formation of Vilayat Khorasan which includes both Afghan and Pakistani territory. For reasons of geography, the Khalifate can’t carry out an invasion of Afghanistan, but then again it doesn’t need to. Like in other countries, the local vilayat is built on the basis of local cadres. Khalifate’s main point of entry into Afghanistan are the practically uncontrolled regions of Pakistan around Peshawar which used to be a Taliban dominion. The take-over scenario usually unfolds as follows. Cells are contacted by agitators, propaganda personnel, financial couriers, and other terrorist organizational cadres which conduct “education” among local radical Islamists concerning their subordination to the supreme authority of Khalif al-Baghdadi and recognizing the authority of the Raqqah regime over all Islamist formations. Neophytes must adopt the main religious and ideological postulates of the movement, after which the local formations are transformed so that where once there was no Khalifate the familiar black spots begin to appear. Afghan and Tadjik militants returning home from jihad in Syria in Iraq play an important role, as they are now able to wage jihad at home. 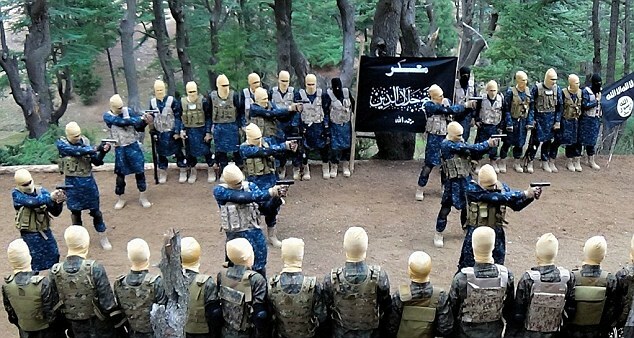 They act as recruiters, propagandists, and instructors. In Afghanistan, Khalifate emissaries were effective at infiltrating half-decayed al-Qaeda cells and dissatisfied Taliban commanders, although they did not shy away from physical elimination of those Taliban who did not wish to submit to the Khalif. 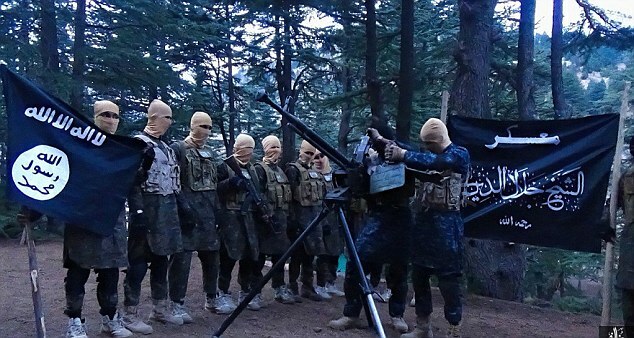 As a result there appeared at the beginning of 2015 yet another Taliban sewer east of Kabul in the Nargankhar province whose administrative center is Jelalabad. It is the epicenter for the spread of Khalifate influence over Afghanistan. Local commanders and detachments officially aligned themselves with Raqqah, and the province saw the establishment of new recruitment and training camps to prepare jihadis for a global jihad. The death of Mullah Omar was the turning point, since Omar publicly criticized the Khalifate and refused to accept its supremacy. His death was announced during the summer, although it’s not clear whether he died then or earlier. But that’s not all that important. After Omar’s death, the Taliban was mired in internal dissent while the Khalifate launched a large-scale campaign to attract the Talibs to its side. It’s not clear which “four provinces” the Khalifate is supposed to encompass, since south of Jalalabad there is only Pakistan. 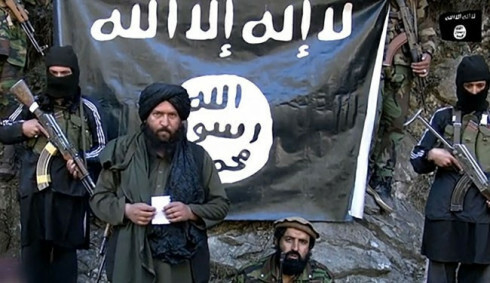 It could mean that Taliban units and the Haqqani network in Kandahar, Khost, Ghazni, and Logar provinces have submitted to the Khalifate, but nevertheless the claim of capturing four provinces seems like a conscious exaggeration, especially since the Khalifate was noted in these provinces already in the spring of 2015 and they have still not established full control over these provinces and have not expelled the officials and troops of the puppet Afghan government. It’s more likely that the balance of power in the local guerrilla war has shifted, with the leading role gradually passing from the Taliban to the Khalifate. 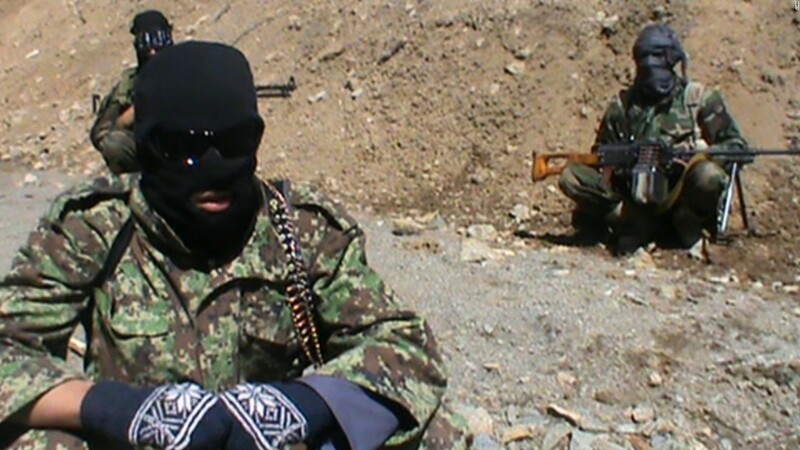 Like all the Afghan war factions, the local Khalifate cells live mainly off drug trade. But so does everyone else, including the puppet government, the Taliban, al-Qaeda, and the US, and the mantras concerning poppy eradication have remained mantras. The huge heroin profits permit endless recruitment of new soldiers and the procurement of weapons on the black market, and the Taliban has established such raw material reserves for the production of heroin that the US officially stated it is now counterproductive to destroy poppy fields because it would raise the cost of the raw material and increase Taliban profits, though it modestly omitted to discuss Afghan government officials’ side business or the US military involvement in it through private military corporations. How is this situation dangerous to the Russian Federation? 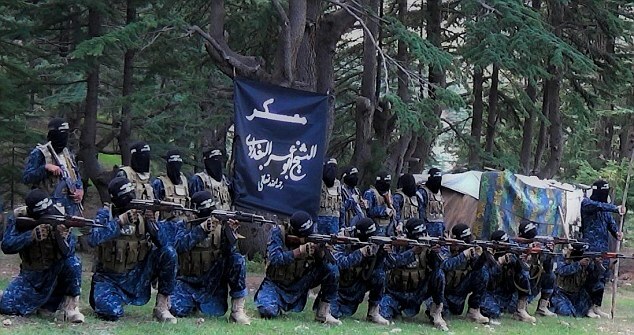 If the Khalifate manages to absorb local Islamist organizations (first and foremost al-Qaeda and Haqqani networks) and forces the Taliban to acknowledge Baghdadi’s authority, then the Khalifate will genuinely start building a vilayat in Afghanistan which will be oriented mainly toward waging war, first against the puppet Afghan regime, and then its neighbors Tadjikistan and Pakistan. 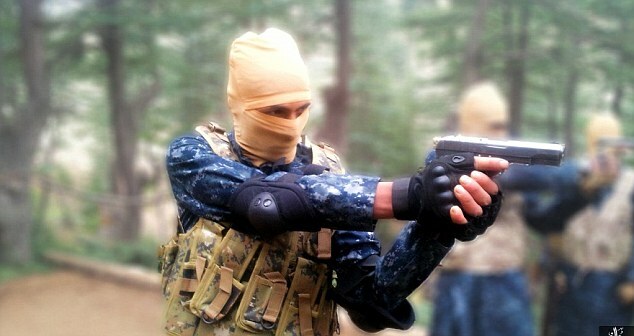 In Tadjikistan, where Russian forces are deployed, the conditions for Khalifate emissary penetrations are favorable, since about 2 thousand Tadjik citizens participated in the jihad in Syria and iraq, and some of them already returned home or to the neighboring Afghanistan. 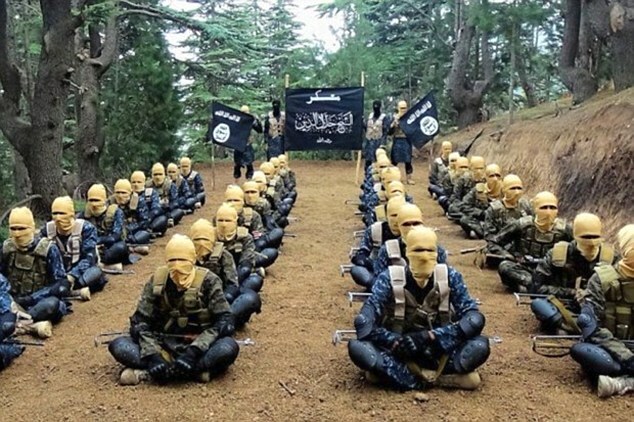 Local state security services are sounding the alarm at the growth in the level of radical Islamist activity in the form of active propaganda in Tadjikistan’s southern regions. The never fully healed wounds of the civil war plus the recent military revolt by troops affiliated with moderate Islamists mean Tadjikistan’s stability is very fragile. In the event of active Khalifate operations close to the border with Tadjikistan or in the countyr itself, Russia will have to use its military assets to parry the threat because there is no other choice. If the secular regime falls, the country will become a feeding base for the Khalifate and a launch pad into neighboring Central Asian republics. Russia would suffer not only a loss of regional position but also an influx of refugees, the growth of drug traffic, and greater ferment in adjacent republics. So the threat is more than serious. Just as Russia is dealing with two wars simultaneously, in Ukraine and Syria, there also exists the danger of the Karabakh conflict and Tadjikistan and even northern Kazakhstan after Nazarbayev’s death joining that list. Being fully aware of these threats, Russia is doing all it can to prevent Karabakh from catching fire and is sending additional forces to Tadjikistan while at the same time supporting the Rakhmon regime hoping to parry the threat in its early stages. In general, Russia faces a medium-term threat from Khalifate cells in Afghanistan, but that threat must not be underestimated because, as the example of Syria and Iraq shows, these guys are fully capable of creating state-like entities in a short period of time, particularly when they take over sizable money flows, with the difference being that in Iraq and Syria the money comes from oil, while in Afghanistan from heroin. Concerning whether we should crawl into Afghanistan and fight the Khalifate there, naturally there’s no need for that. There are others who can fight the Khalifate there. 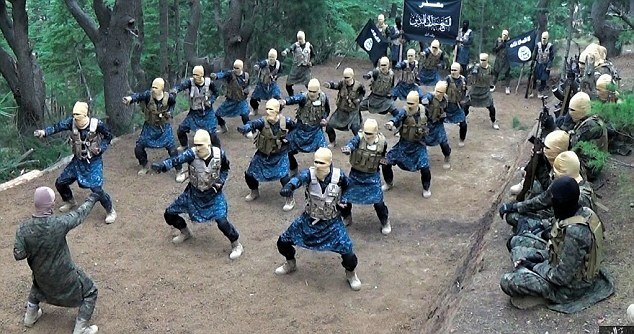 One should support ethnic groups in northern Afghanistan (if need be, supply them with weapons and even launch strikes in border regions) and possibly enter into consultations with moderate Taliban representatives, like the US has been doing for several years. 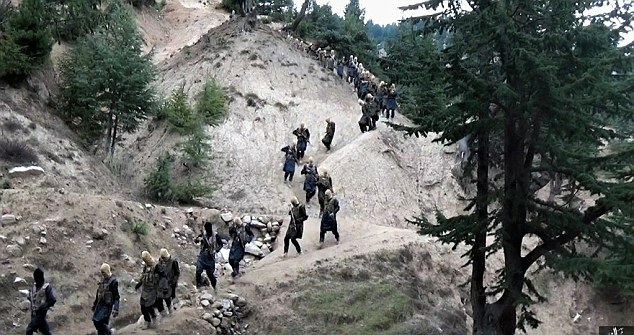 The Marg group operating in northern Afghanistan which declared war on the Taliban and the Khalifate. By and large, the Taliban is not very dangerous to Russia since it is a local movement and not an international one, and it can hardly count on being able to operate outside Afghanistan and Pakistan (though it could destabilize Tadjikistan), but the Khalifate is thoroughly international and its ideology has a universalist dimension not limited by state or ethnic boundaries. A war between Taliban and the Khalifate is objectively advantageous to Russia, and the longer it continues the better, but a victory of the Khalifate over the Taliban would be an extremely dangerous outcome, therefore one can expect that in the middle-term perspective Taliban can be useful in order to contain the Khalifate in Afghanistan. As far as the other adversaries of the Khalifate are concerned, the US couldn’t defeat even the Taliban in 14 years of war, and the recent battle for Kunduz in which the puppet Afghan army with US support was able to retake the city only with difficulty (even though Taliban has no heavy weapons) shows that one can’t count on the US to control the situation even if it were to enlarge its military contingent there. And it will have to be enlarged–the idea is already being openly discussed. Overall, Afghanistan continues to justify its reputation. A few photos of the Khalifate in Afghanistan. THE IS-ZIONIST MONSTERS.not Islamic at all , just demonic scourge unleashed by their ZIO masters..